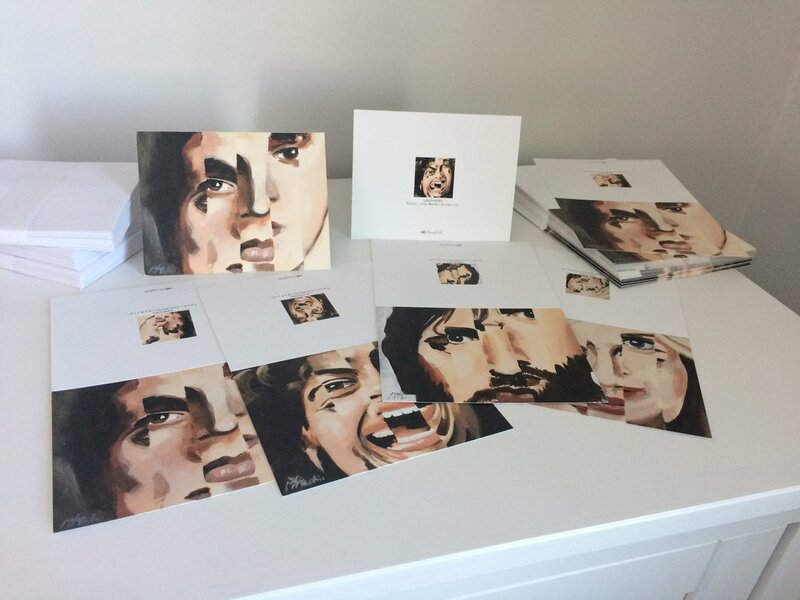 4Faces artwork printed for coaster set. Coasters are made of extra-thick 58-point absorbent pulpboard to help protect your tabletop. The coaster surface has a smooth matte coating and are designed to absorb spills and condensation from drinks. Print quality is good enough that you could frame these and display as artwork! Printed by Evermine. On the back of each coaster - a small Evermine logo is embossed (pressed into the paper). 4Faces artwork printed for notecard set. 5.5" x 4.25" folded blank notecards with envelopes for any creative mailing. Nursing • pumping kaftan with button flap for easy access. The Original Kaftan. For anyone, anytime. Casual and comfortable.